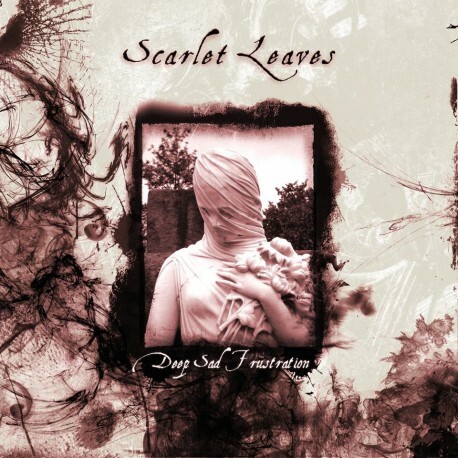 Unlike "Outlining States of Mind", that brought more lyric and sentimental lines, in this new album we explore another side of Scarlet Leaves. "Deep Sad Frustration" still keeps the idea of bringing songs and lyrics with abstract and elaborated contents. On this album, the instrumental brings more orchestrated lines and highlights the violas, cellos and violins. Some percussions are more intense. The guitars are still wandering according to every sound and the synths and other programming are more profound and present than the first album. The voice is still soft but not so lyrical. We brought a more mature and secure voice for this material, showing a musical development. In some songs we bring real facts of life, such as in "The Misfortune" involving a limited human being, unable to live in their own freedom. In "Luxuriae", we try to be poetic in relation to one of the seven deadly sins, Lust. "Alma" once was called "Believe", because this song talks about believing, going crazy and imagination. On the other hand, "Dust and Silence" travels in hope and confusion, reflected in tears through pain. The idea behind "Godforsaken" was bringing a story through the eyes of an angel abandoned by God. In "Persephone Garden" we fled a bit from the idea of the other songs to tell our version of the story of Persephone and Hades, characters in Greek mythology. And finally "Misth" is mysterious as always. It's up to the listeners to interpret what it means to them.